What is the Span of Control on Attack Lines for a Driver? This entry was posted in Driver by countyfiretactics. Bookmark the permalink. How many lines can a driver be expected to manage? Can the driver be your SAfety Officer? How much other than pump can the drier be expected to do? 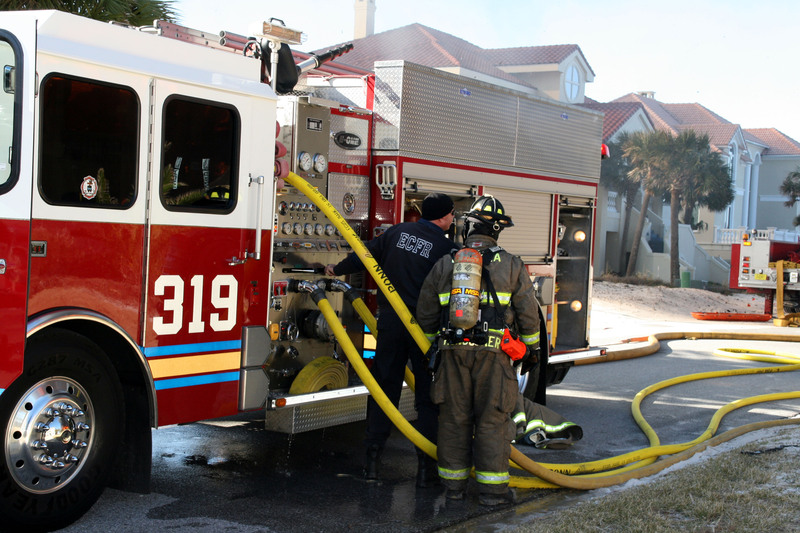 What Fire Ground task do you do as a Driver at a Working Fire? PLEASE POST YOUR ANSWERS!!! Well the typical span is 3-5 right?…situational I suppose. I would say 3 is optimal on that. The driver can be a pseudo safety officer in the sense of having a situational awareness within the moment on what he/she sees at the time. Staying alert to watch for such things and having a radio(preferably on your shoulder) to communicate dangerous conditions/things. In areas where there is no command oversight, manning, or other help it may be the only thing you got! i agree with DJ on this with being 3-5 lines. As a driver i feel more in my comfort zone with a max of 3 lines. Granted if i was feeding a ground monitor with 2 2 1/2’s i still classified that as one working line. With regards to being a safety officer, i believe that the driver could be the safety officer until the second company or chief officer arrives on scene. Ultimately its everyones responsibility to be their own safety officer. The driver can see things that the inside crew cant and should be relaying that information to the interior crew and incoming crews. It helps the second due know the situation so they can prepare mentally and that officer can get his crew ready for any orders given. No more than 5 lines…Anything more and you probably have a big enough fire where you’ll need other Eng. Co. to pump as well.